You don’t want both of your twins to start walking at the same time. Simple: attention, time, and back pain. When your little ones start moving towards walking, odds are they will start pulling themselves up on the couch, bookcases, or anything else they can reach. The next phase is where you hold their hands while they take tentative steps around the house. 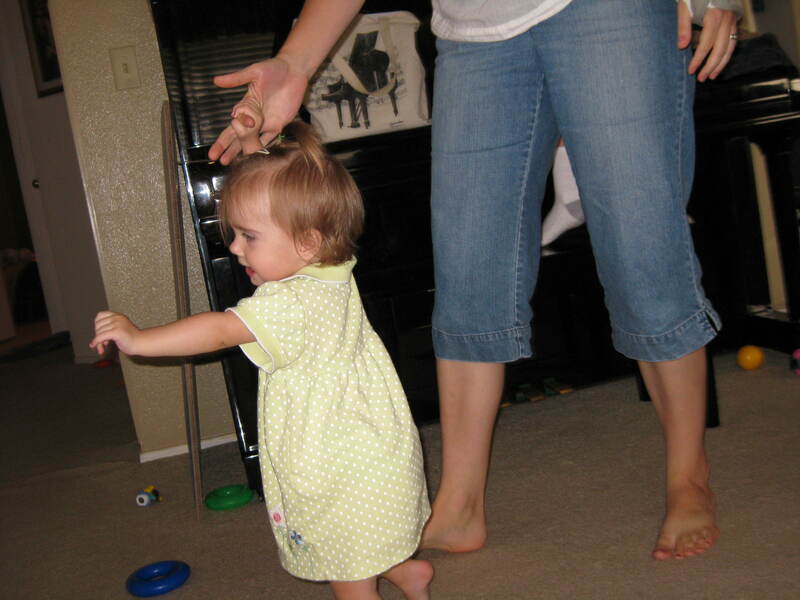 Gradually, your babies will be so confident in walking (but not independent yet) that they will want you to hold their hands and help them walk (run) around the house. They will want to walk all the time. You are just one person. It is physically impossible to help two babies walk at the same time, particularly when they are just getting started. A new toddler is extremely unstable and you need both of your hands to help with balance and prevent a disastrous fall or collision. So if both of your twins want to start walking at the same time, you’ll have to take turns. Either each baby takes a turn or you and your wife each take a baby. Second, you’ll never get a break. Third, since you are hunched over all the time to help your little ones toddle about, you’ll quickly have some back issues. Ouch. So, bottom line? Pray that your twins are on a slightly different developmental scale when it comes to walking. It will make life easier for everyone. My twins walked at different times. We made heavy use of a playpen so they could walk around the edge of it. It was difficult having one baby in the playpen and helping the other walk around the house. All the walker wanted to do was explore as far away as possible from her sister. Dragging a toddler back and forth between exploring and her sister is not ideal either. The bottom line is that parents of multiples are going to learn what works for them. They should expect that it will be busy, it will have an effect on their body and it will be an AWESOME time. @Danny – Using a playpen is a great idea. There is only so far they can go holding onto the couch. Like you, I loved watching my girls learn to walk and it was an awesome time!